Last Saturday I had a really fun experience seeing Athens in a different way. 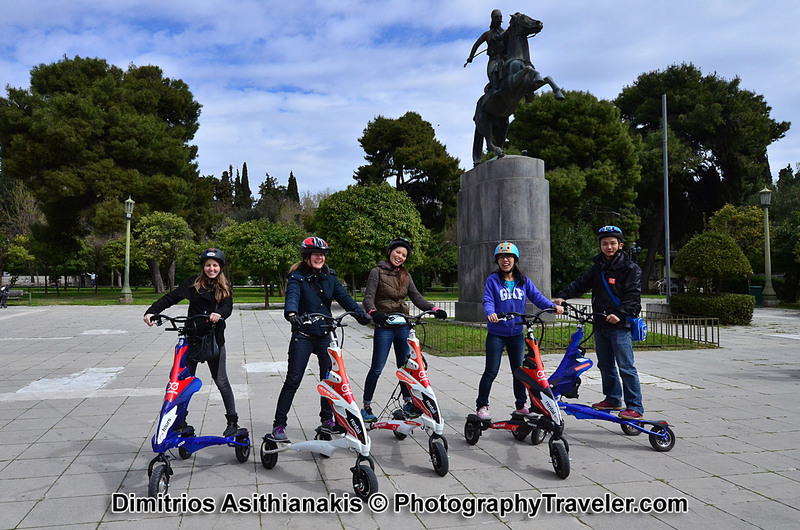 Travel Bloggers Greece members were invited to join a Scooterise tour of Athens via a Electric Trikke vehicle. The three wheels Trikke is like a toy and from the first moment I enjoy the ride. The tour starts from 18 Chatzichristou Street where company’s office is, near Acropolis Metro station. 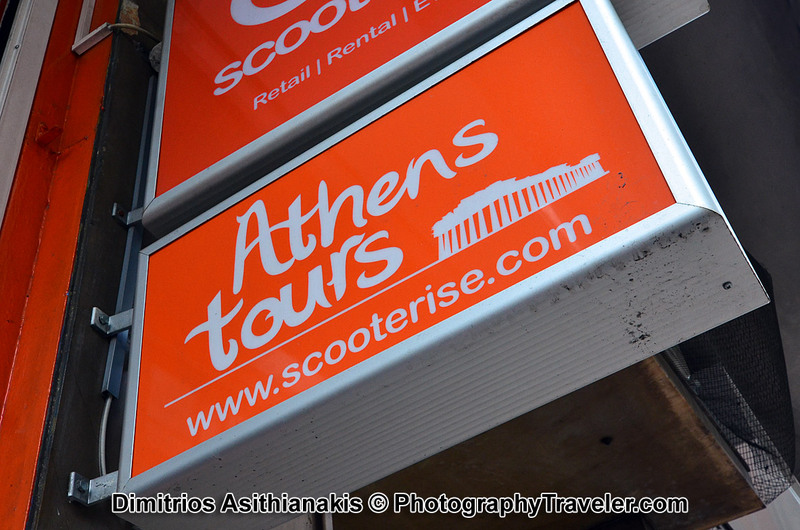 Scooterise offers to its clients a lot of different tours 1.The Scooterise Athens Highlights Tour, The Scooterise Art & The City Tour, The Scooterise Athens Food Safari tour, The Acropolis & Athens Scooterise Combo tour, The Scooterise Athens Riviera Tour. 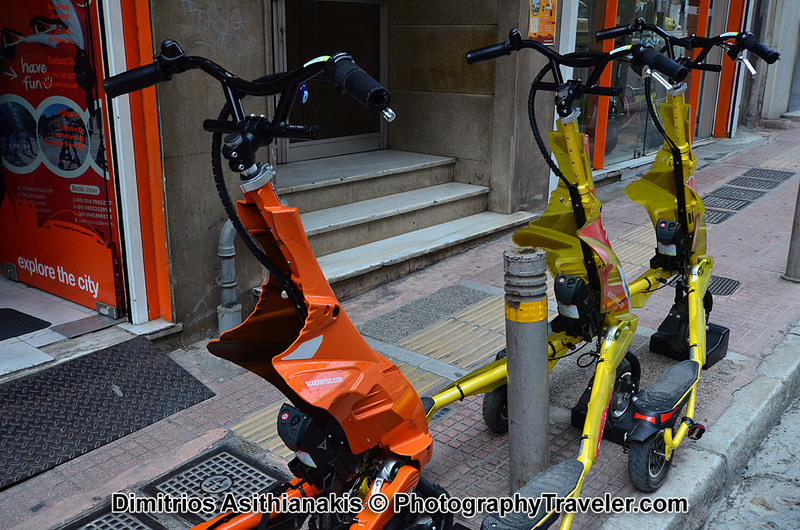 We just took the Scooterise Athens Complete Tour . During 2 and ½ hours we saw some of the more interesting spots of the city. Hadrian’s Arch and the Temple Of Zeus, Zappeion and the Kallimarmaro (panathinaiko) stadium, the Presidential mansion, an interesting ride through the National Gardens, Syntagma Square and the Greek Parliament, Monastiraki square, Ancient Roman market, Tower of the Winds, Plaka and tours ends. I had so much fan that for sure I will do it again in the future.